Many chiropractors remain sceptical of evidence-based practice (EBP) and some may view it as an attack on the profession which they feel must be resisted. A counter-argument is centred on the primacy afforded quantitative methodology as epitomised by the randomised controlled trial (RCT). This defensive posture may be mitigated by recognising the role complex research has played in the legitimisation of the profession. The pre-eminence of the randomised controlled trial (RCT), considered by many as the gold-standard of evidence, has led some authors to go so far as to functionally disregard all evidence that is not an RCT. 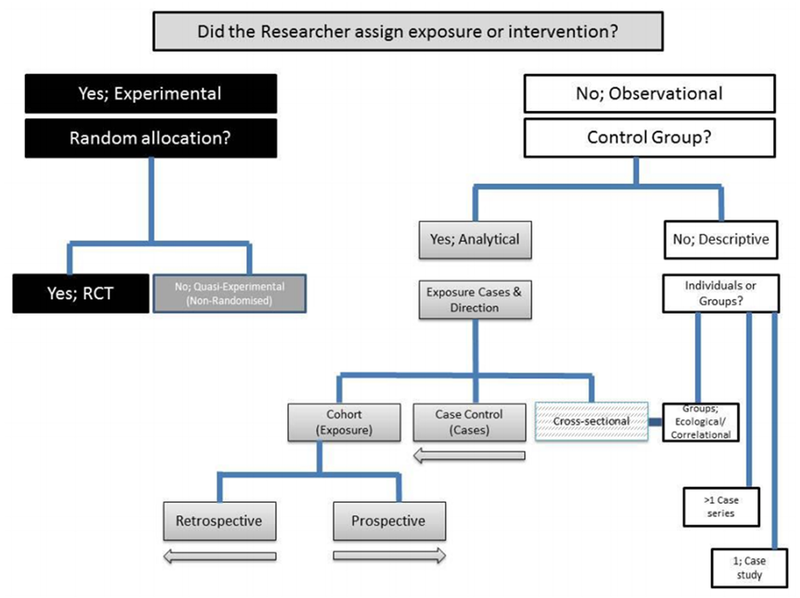 However, it is readily apparent the RCT is not always the most appropriate study design to gather evidence, especially in the CAM health sector. This paper discusses the role of sophisticated design in quantitative chiropractic research, presenting examples sequentially through the traditional quantitative hierarchy and concludes that optimal methodology depends on the research question. Research design must allow for the various dimensions of the (chiropractic) clinical encounter, and may be sophisticated at all levels, but must above all, be contextual. The ‘best available’ or most relevant evidence depends on what one needs for a specific purpose. A critical caution is the proviso that care must be exercised not to draw inappropriate conclusions such as causation from descriptive studies. Proponents and detractors of evidence-based practice (EBP) in chiropractic, in common with the rest of healthcare, generally adopt antithetical positions characterised more by dogmatic convictions than by genuine debate. Some consider RCT evidence as the gold standard of sophisticated evidence, while others are highly critical. The principal proposition of this paper will be that sophisticated research designs have an important role in generating new knowledge at all ‘levels’ of the hierarchy and should not be avoided because of the challenge presented by complexity. It is my view that a sequential analysis of the various study designs in clinical and health system research demonstrates that different designs have each added a unique dimension to the corpus of knowledge concerning chiropractic, manual therapy, spinal pain complementary medicine and human well-being. A study may reside ‘lower’ on the evidentiary hierarchy, but this certainly does not preclude it from being complex, sophisticated or valuable. Modern epidemiology and healthcare research are part of a human tradition of inquiry that stretch back centuries, deep into antiquity at least until Ibn Sina (Avicenna) in 1,025 AD, who may possibly have conceived the first recorded ‘RCT’ design. [4, 5] From the beginning of time, philosophers and deep thinkers have intuitively tried to establish association, causation and effect, albeit in a culturally evolutionary nomenclature and context. From the ancient healer, to the modern clinician, in all cultures, humans have been engrossed in studying and understanding links between their surroundings and disease, and finding ways to relieve ill health and live productive lives. Evidence based medicine has historically has almost been a metaphor for quantitative methodology. Quantitative evidence is even stratified into various levels; a so called ‘pyramid’. These strata will be considered in a sequential manner in this paper; however it is pertinent to acknowledge firstly that there exist quite a few variations on this ‘pyramid’, depending on the intended use of the evidence, i.e. ; for diagnosis or therapy. [22, 23] (Figures 1-3 and Table 2). High Quality Evidence: one can be very confident the effect estimate presented lies very close to the true value, thus there is a very low probability of further research completely changing the presented conclusions. Moderate Quality Evidence: one can be confident that the presented effect estimate lies close to the true value, but it is also possible that it may be substantially different, so further research may completely change the conclusions. Low Quality Evidence: one is not confident in the effect estimate and the true value may be substantially different so further research is likely to change the presented conclusions completely. The search for proximate cause of ill health; the ‘evidence’, is a somewhat fraught subject. At the outset of any discussion about evidence, it is important to reflect that the term ‘causation’ is itself sometimes poorly understood. To be a ‘cause’ the factor must directly influence the occurrence of a disease or condition; this means it must be more than simply an observed association. A cause is a preceding event, condition or characteristic that is necessary for, and results in, a given outcome at a specific time. ‘Post hoc ergo propter hoc,’ "after this, therefore because of this." It is also imperative to bear in mind; association does not equal cause; in reality, few conditions have a single cause; usually there are multiple influences interacting in complex ways. Exposure to a causal agent does not necessarily always cause a condition to develop. A more practical concept is the contemporary concept of ‘probabilistic causation’; where a cause is defined as “a factor that increases that probability (or chance) that an effect will occur”. 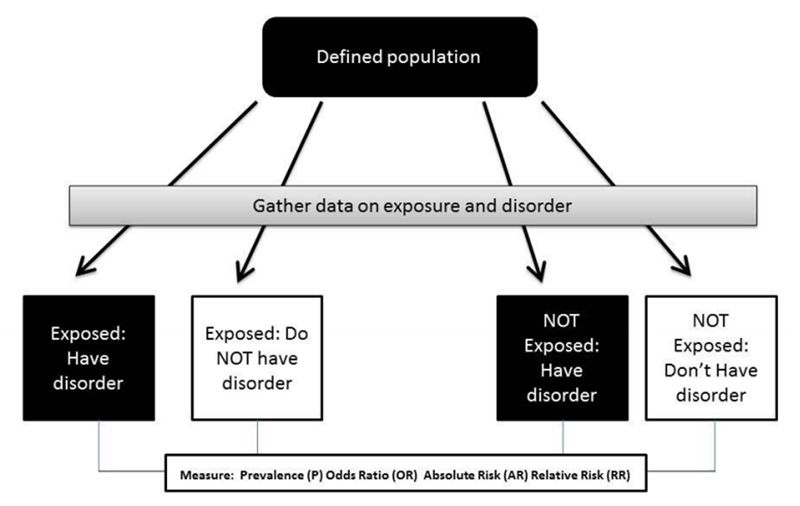 Even with respect to infectious diseases, medical epidemiologists recognise a triad that is in a state of flux – environment, host and agent - and the distributions, effects and type of infectious disease fluctuate as each of these factors vary. Diseases are rarely said to be ‘caused by’ factor ‘x’. Conversely one must bear in mind lack of association certainly disproves causality. This paper aims to identify examples of complex quantitative chiropractic and manipulative therapy research at each level of the traditional quantitative hierarchy. Five databases were searched in addition to ‘Google Scholar’ in December 2012. These databases included Medline, Web of Science, EMBASE, SportDiscus, and The Cochrane Library. 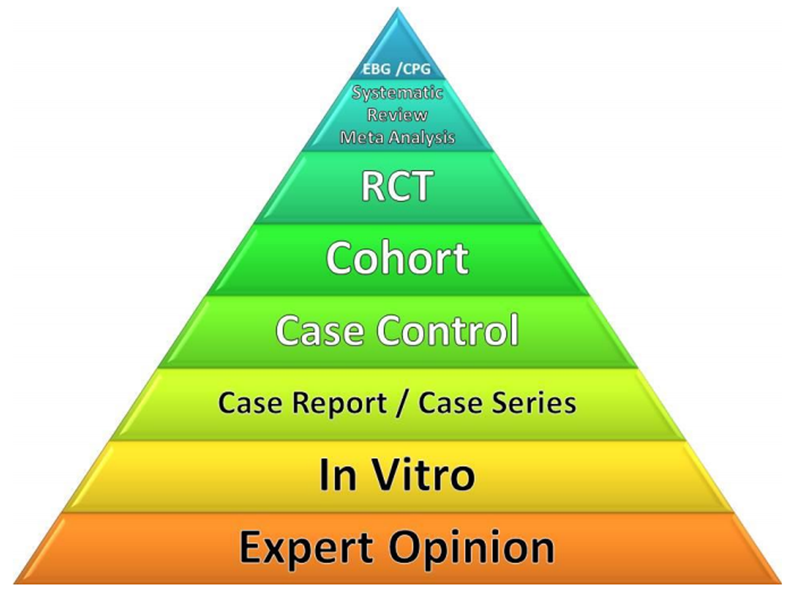 The search criteria used were “chiropractic research” OR “manipulative therapy research” OR “complex research” AND ‘‘evidence hierarchy’’ AND “quantitative” AND ”the particular type of evidence” for example; “randomised controlled trial.” The examples are chosen somewhat arbitrarily, primarily on the criteria of their usefulness as examples of the study designs. Following is a sequential analysis of the traditional hierarchy of quantitative evidence along with selected chiropractic examples of each. Examples were chosen as being representative of study design; no evaluation is made on study quality. 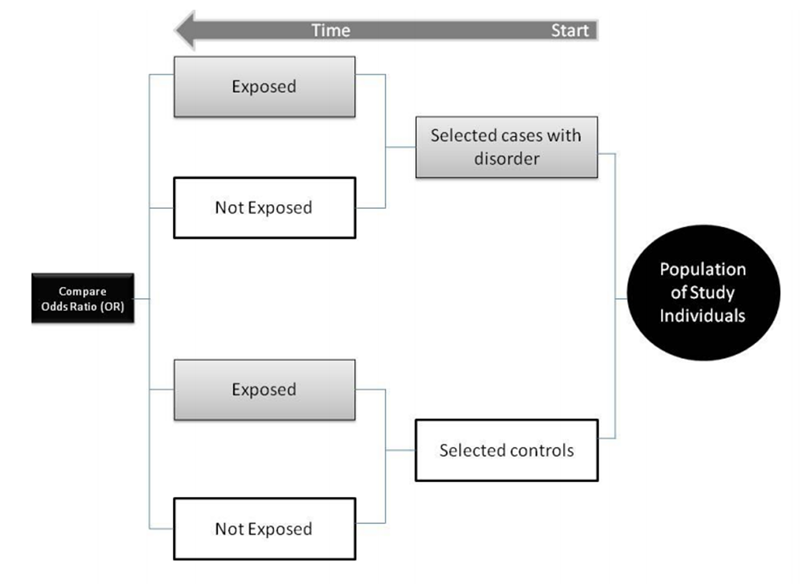 Despite its low ranking in the evidence hierarchy, anecdotal information still exerts a disproportionally powerful influence on clinical thinking and behaviour, consequently one must be careful to distinguish between the use of anecdotes to convey ideas and influence behaviour, and their validity in making causal inferences. [32 ] In health care, recommendations by a respected local peer have been shown to be a more powerful force for change in clinical practice than evidence-based consensus guidelines published nationally. Since chiropractors have been accused of extrapolating causation from anecdotal clinical experience, a better understanding of the evidentiary hierarchy may mitigate this tendency. Chiropractic example: Song , Spinal manipulation reduces pain and hyperalgaesia after lumbar intervertebral foramen inflammation in the rat. “This study showed that Activator-assisted Spinal Manipulative Therapy (ASMT) can significantly reduce the severity and shorten the duration of pain and hyperalgesia caused by lumbar IVF inflammation. Manipulation of a specific spinal segment may play an important role in optimising recovery from lesions involving IVF inflammation”. Ecological (or cross-sectional) studies analyse populations rather than individuals. The ecological study is thus susceptible to what is termed the ecological fallacy; i.e. associations noted at aggregate level do not extrapolate to the individual. Ecological studies can be a ‘snapshot’ (such as the National Health Survey conducted by the Australian Bureau of Statistics) and may be of a specific time window, e.g. a calendar year, or a fixed point. a systematic presentation, and synthesis, of the characteristics and findings of the included studies. Evidence-based practice is founded on the premise of utilising the best available evidence in clinical decision making taking into account the patients’ values, goals and expectations and the practitioners expertise and scope of practice. 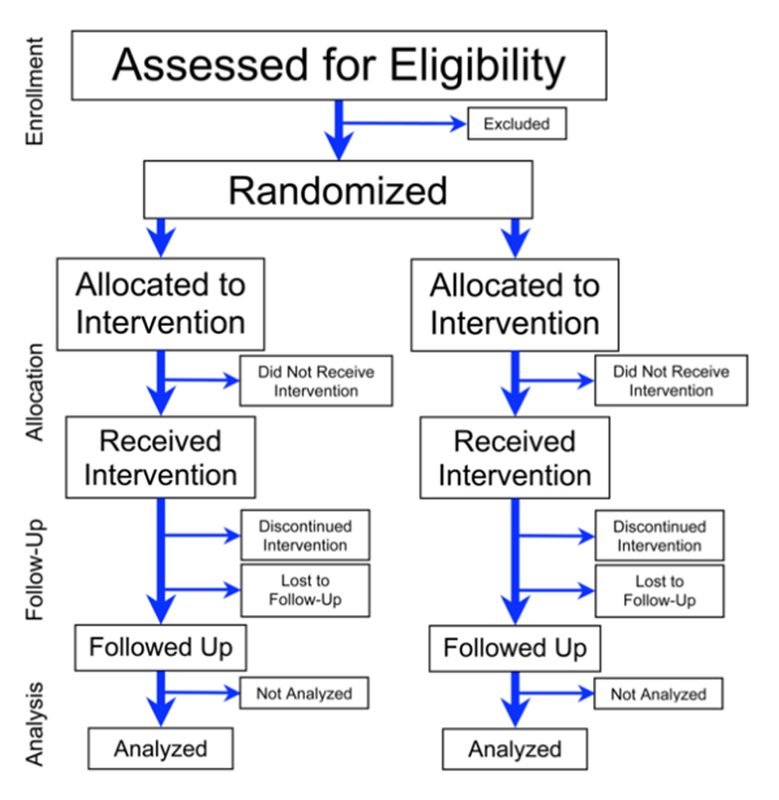 Often it is not necessary or appropriate for that best evidence to be an RCT. It is openly acknowledged and articulated by eminent thinkers such as Diamond and Robinson that some central questions especially in the natural and social sciences can't be answered by controlled laboratory experiments; many manipulative experiments, while theoretically possible, would be considered immoral or illegal. Other methods of observing, describing, and explaining phenomena must be devised (58). Complexity certainly presents challenges for those designing and conducting clinical trials, however this is by no means a challenge unique to chiropractic and the challenge should not be viewed as overly daunting. Controlled trials and other sophisticated research designs have been conducted within the chiropractic and CAM sector for many decades. There is now an impressive body of literature exploring the management of spinal pain, which after all constitutes well over 90% of chiropractic practice. There remain however, many important areas that require further investigation, for example; chiropractic for paediatric patients, dose-response, supportive/maintenance therapy, non-musculoskeletal conditions, subgroups and cost effectiveness. This paper is based on a series of lectures given during the PUBH4403 unit of the MPH by coursework at the School of Population Health, University of WA by David Preen & Jane Heyworth 2012. Iconoclast or Creed? Objectivism, pragmatism, and the hierarchy of evidence. Perspectives in Biology and Medicine. 2009;52(2):168-87. Qualitative inquiry and research design. 2nd ed: Sage Publications, Thousand Oaks. ; 2007. The Arab Roots of European Medicine. The Canon of Medicine (The Qanun) Persia. 1025. What’s New About the “New Public Health”? Am J Public Health. 2004(94):705-9. The Unification of the Globe by Disease? The International Sanitary Conferences on Cholera 1851-1894. Development Initiatives: A Statistician’s Point of View. Institutional Learning and Change Initiative. 2010. Statistical Methods for Research Workers. Edinburgh and London: Oliver & Boyd; 1932.
complex interventions to improve health. London: Medical Research Council. 2000. 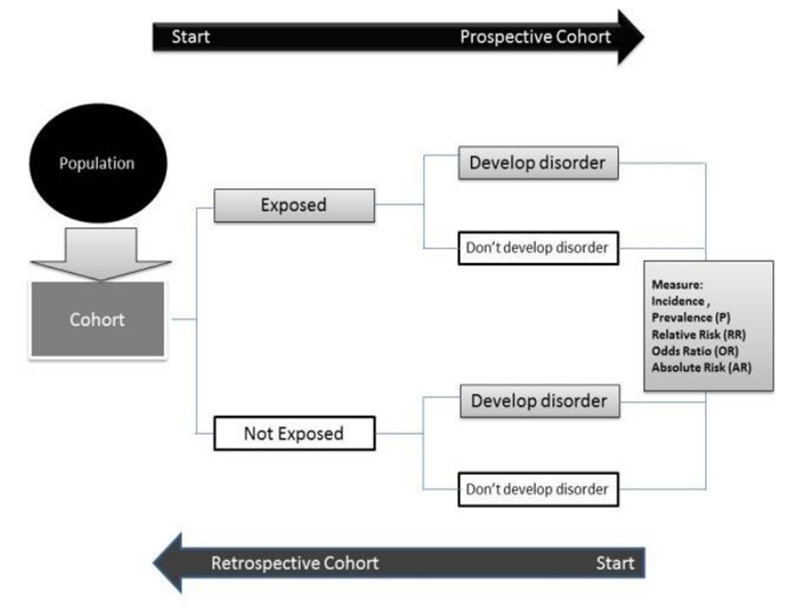 Developing and evaluating complex interventions: new guidance. London: Medical Research Council. 2008. Streptomycin treatment of pulmonary tuberculosis. BMJ (Clinical research ed). 1948;2:769-82. Haneline M, Meeker WC., editors. Jones And Bartlett Publishers; 2011. Evidence-Based Medicine and its Implications for the Profession of Chiropractic. Social science and medicine. 2005;60:545-61. New England Journal of Medicine. 2000;342(25):1878-86. Concato J., Nirav-Shah, Horwitz RI. 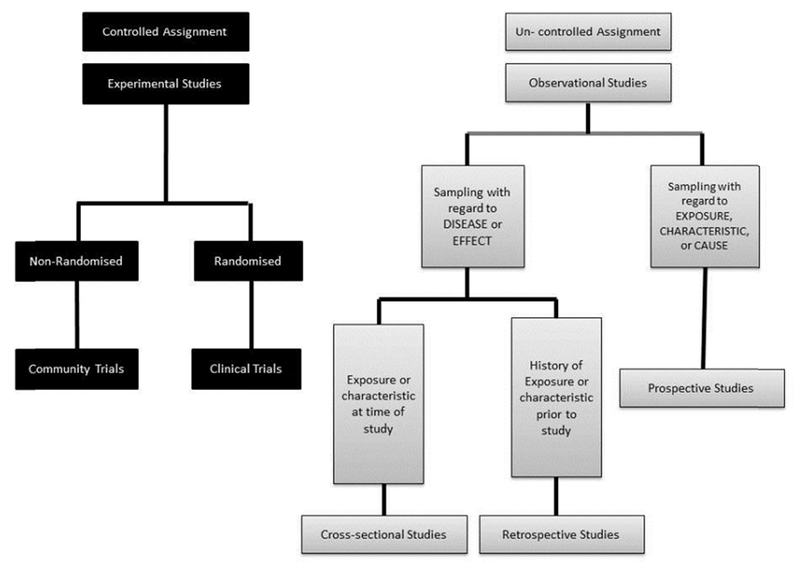 Randomized, controlled trials, observational studies and the hierarchy of research designs. Foundation for Vertebral Subluxation. 2010(June 15):1-8. Balshem H, Helfand M, Schünemann HJ, Oxman AD, Kunz R, Brozek J, et al. Ebell M, Siwek J, Weiss B, Woolf S, Susman J, Ewigman B, et al. grading evidence in the medical literature. Evidence-Based Medicine: A Unified Approach. Guyatt G, Oxman A, Kunz R, Falck-Ytter Y, Vist G, Liberati A, et al. Schunemann H, Best D, Vist G, Oxman A.
how to communicate grades of evidence and recommendations. Journal of Epidemiology and Community Health. 2001;55(12):905-12. In defense of expert opinion. Lomas J, Enkin M, Anderson G, et al. Opinion leaders vs. audit and feedback to implement practice guidelines. How the experimental method shaped life sciences. Lessons from the living cell: the culture of science and the limits of reductionism. Song XJ, Gan Q, Cao J-L, Wang Z-B, Rupert RL. Philadelphia, PA: Saunders (Elsevier); 2008. MMWR Morb Mortal Wkly Rep. 1981 Jun 5;30(21):250-2. Lafond D, Champagne A, Cadieux R, Descarreaux M.
American Journal of Public Health. 2002;92(12):2001-9. Cassidy JD, Boyle E, Cote P, He Y, Hogg-Johnson S, Silver F.
Rochon P, Gurwitz J, Sykora K, Mamdani M, Streiner D, Garfinkel S, et al. Reader's guide to critical appraisal of cohort studies: 1. BMJ (Clinical research ed). 2005;330(7496):895-7. Bias and causal associations in observational research. Euser A, Zoccali C, Jager K, Dekker F.
Cohort Studies: Prospective versus Retrospective. Moher D, Hopewell S, Schulz KF, Montori V, Gøtzsche PC, Devereaux PJ, et al. Br Med J. 2010; 340:c869. Bishop PB, Quon JA, Fisher CG, Dvorak MFS. Green S, Higgins JP, Alderson P, Clarke M, Mulrow CD, Oxman AD. Moher D, Liberati A, Tetzlaff J, Altman DG. Hawk C., Khorsan R., Lisi AJ., Ferrance RJ., Evans MW. Goertz M, Thorson D, Bonsell J, Bonte B, Campbel lR, Haake B, et al. Adult Acute and Subacute Low Back Pain. Updated. ICSI. November 2012. Sackett DL., Rosenberg WMC., Muir Gray JA., Haynes RB., Richardson WS. Manchikanti L, Boswell M, Giordano J.
Amorin-Woods LG, Beck RW, Parkin-Smith GF, Lougheed J, Bremner AP.